Medlab Services was established in April 1986. We sell and service Medical and Laboratory Equipment in Namibia. 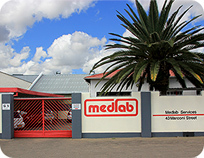 Medlab conducts business from their own premises which are situated in Windhoek, the capital of Namibia. Sales staff include qualified Medical Technologists and Service Engineers hold diplomas in Electronics. Medlab Services have partnered with some of the world’s leading brands, bringing the best quality home to help empower laboratories and manufacturers to make more accurate diagnostic decisions. Medlab Services technical support offers after-sales service on all our products to ensure that clients receive true value from their investment to operate effectively, efficiently and economically.